The Pixel Shift shooting modes may be the most well know sensor shift shooting modes available on the K-1, but three additional shooting modes that utilize the same technology may come in handy- especially for landscape photographers. The Astrotracer feature isn't new to Pentax shooters as it was available in the K-3 II and prior to that it was available via a separate unit that could be attached to the camera. The mode itself is fairly straight forward to use but the weather and moon phases had other ideas and I was unable to fully take advantage of the feature. With that said we are planing to write a small follow up piece to ensure that we give the Astrotracer feature a proper test. The automatic horizon correction feature utilizes the same clever sensor shift technology that is used during the Pixel Shift shooting modes. We were really quite impressed by the range of motion that the sensor is capable of. The sensor can shift up, down, side to side and it can rotate slightly as well. The studio scene you see here was completely static and the movement present in this animation is the sensor shifting in various directions. As you can see the sensor can shift by a fairly remarkable amount: this should enable users to correct for minor horizon issues and even make slight changes to their composition if they should choose to do so. The final mode made possible by the sensor's movement is the AA Filter simulator. This dates back to the K-3 and uses sensor shake to slightly blur light across more than one pixel during the exposure. This prevents false color appearing where high-frequency patterns would otherwise clash with the sensor's color filters. An 'AA Filter Simulation Bracketing' mode lets you shoot consecutive images with it on and off, so that you have a 'safety' shot if moiré does appear in the image. To see how it performs, read our in-depth analysis of the feature on the K-3 here. The video capabilities in the K-1 are a bit on the modest side compared to other cameras at this price point. The K-1 includes Full HD/1080p recording capability at 30fps, but lacks a 4k video recording option. In movie mode the K-1 switches to contrast detection autofocus. These are the very limited AF settings that you have to choose from. 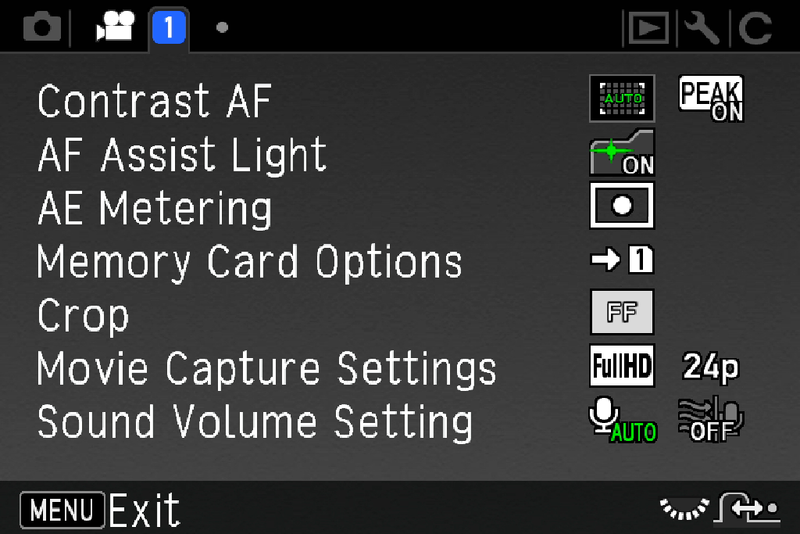 Keep in mind that the majority of these settings will not work while recording is taking place. 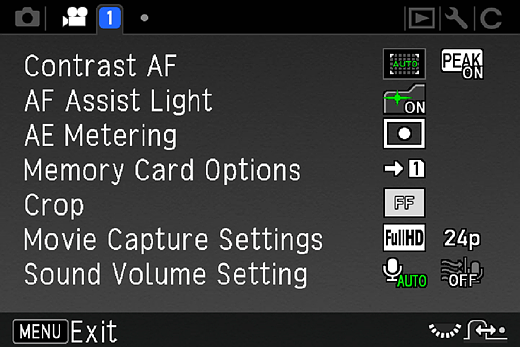 Auto focus is possible before movie capture, but is not available while in recording mode. Manual focus peaking can be used before you begin shooting to dial in your focus, but again the feature is disabled while recording is in progress, so there's no way to confidently adjust focus. Clean HDMI output is also unavailable on the K-1; couple that with limited video support tools and we can easily conclude that video definitely isn't the K-1's strong suit, but it can get the job done in certain situations. Here are a few examples that demonstrate the K-1's video recording performance. This video includes a daylight sample, a daylight sample with image stabilization and a low light sample shot at ISO 10,000 all taken at 1080/30p. The image stabilization seemed to work fairly well when panning but definitely suffered when walking along with the camera in hand (this is to be expected to some degree, as this is definitely a stress test for the IBS system). When comparing video stills the video appears to be rather soft and it does lack detail when compared to the D750. LED's can be found on the back of the LCD, in the memory card slot, in the battery compartment and above the lens mount as well. The K-1 features unique LED lighting that proves to be extremely useful in low light or challenging lighting situations. 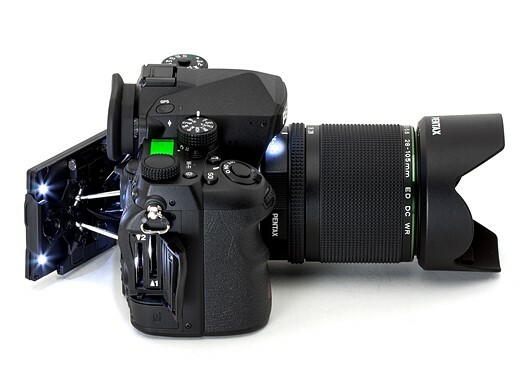 LED's located behind the LCD screen, in the memory card slot, at the top of the lens mount and in the battery compartment give users plenty of illumination options to utilize as they see fit. 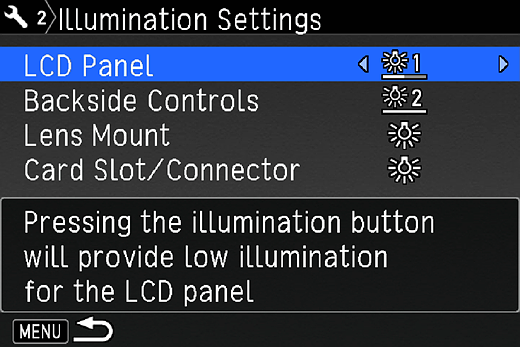 The settings can be easily customized using the illuminations settings menu options found tucked away in the camera's main settings menu. Using the customization options you can set the LCD and rear button illumination to different brightnesses and toggle off/on the lens mount, memory card slot and battery compartment LEDs. 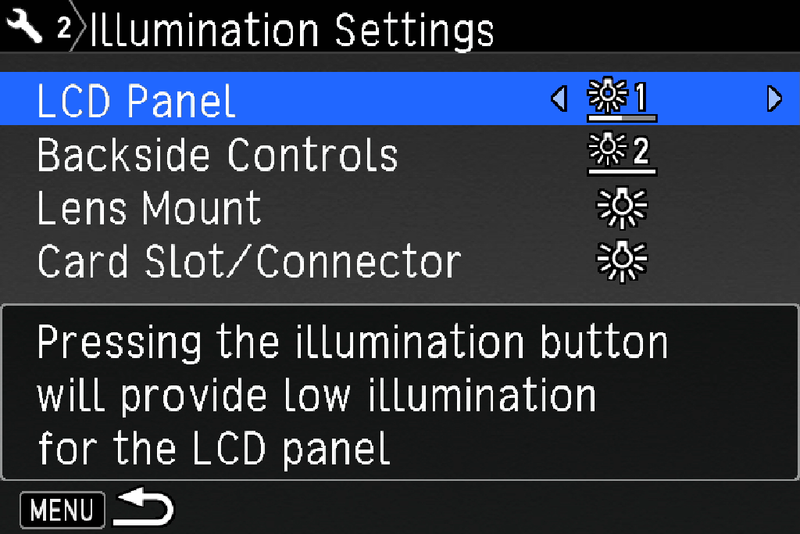 The Illumination options can be found in the second tab of the 'settings' menu. From here you can toggle off/on the lens mount, battery port and card slot LEDs off and on. These lighting options are extremely useful in the field, as adjusting camera settings, swapping lenses and changing memory card/batteries in tough lighting conditions can otherwise be awkward. It's one of those details that Pentax really spent a lot of time thinking about, and it translated very well to everyday use. The Wi-Fi can be a bit buggy at times, but you can utilize Ricoh's Image Sync App (for Apple iOS or Android) to connect to the K-1 and download images directly to your phone for easy sharing and editing. The Image Sync App also allows users to utilize live-view to adjust focus, aperture and several other settings directly from their mobile device.